Regular readers may be aware that over the last few months I have been working on setting up my own personal and private guided tours company. It has been a long arduous but also frequently fun road setting up a company website, creating profiles on various guiding websites and creating and designing brochures, leaflets, business cards and clothing! My business came into being at the end of September and following a proposed booking that I couldn’t do as I was on holiday myself and one or two inquiries, this past week I had my first booking and chance to learn whether I would sink or swim. Of course I had done guiding before for fun, often for friends and family. Not just in the U.K. but overseas too in Paris and Berlin where I gave corporate tours for important clients. Similarly in places like Egypt or Jordan where at Kerak Castle I was offered an official government guides job after repeatedly and unintentionally showing up the official guide. It is the only job I regret turning down! Knowing your history is a necessity but that just means you know what it is your guests are seeing. Just as importantly and often even more so is to be a people person and remember it is the guests holiday and you have to make it fun. I always make sure that nothing is too much trouble if it makes my guests happy. In a large company this isn’t always possible or even appropriate but when you are your own business it’s the only way to be. It was with much excitement and a little trepidation that on thursday I went on my first official tour. The trepidation was only because I wanted by guests to have the best day of their holiday not because I had any worries about myself. As it happened it was a great day for all of us. I drove in to Battersea in central London, I expected appalling traffic but it was worse than that. It’s not London itself but the various pinchpoints where motorways lose lanes or a minor car crash bring chaos for miles around. Once you’re in central London, it’s very easy so long as you don’t end up in an unexpected one-way system. 2 hours after I left home, I met John and Anne almost exactly on time. They are a lovely retired couple from the hills near Canberra, Australia and they were 6 week into a grand tour of the U.K. having already seen as much as they could in Scotland, Wales and Northwest England. 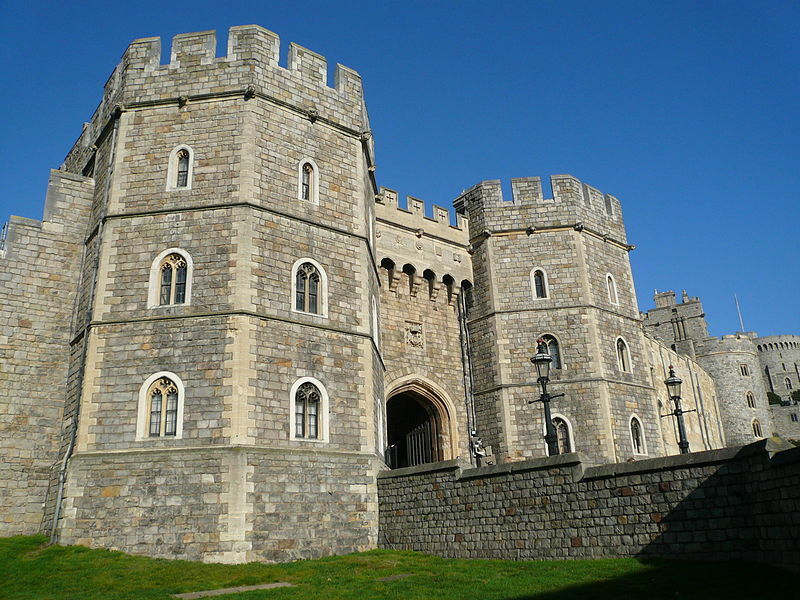 We were to escape London for the day and visit Windsor Castle. 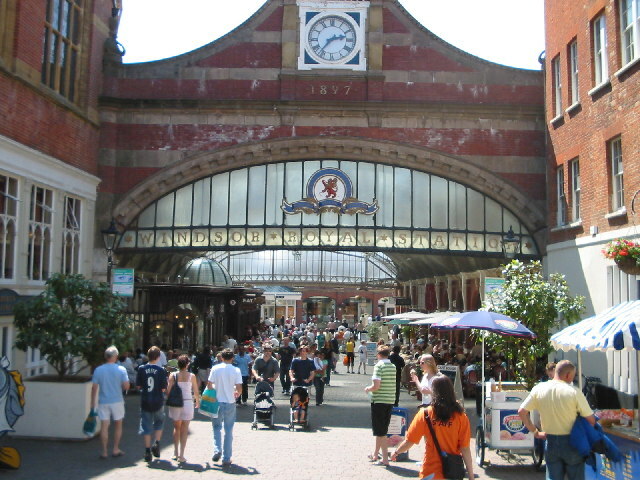 It took only 35 minutes to get out of London and we sound found ourselves parked up at Windsor Station which is itself quite a tourist attraction with a large number of eateries and boutiques under a fabulous Victorian roof. Probably one of the classiest train stations in the world. As soon as you emerge from the station, you can’t help but be immediately be impressed by Windsor Castle which sits right across the road. Around 1 million people visit the castle each year and there are still 500 people who live and work there. Chief amongst these of course is The Queen who likes to spend her weekends here away from Buckingham Palace and the noise of London (don’t we all?). This old castle built originally by the Normans and greatly expanded over the next millenia is the oldest inhabited castle in the world and not only are the walls and towers in perfect condition but the interiors are very much suited to 21st Century life, albeit it a regal one. Having taken several photos outside the walls and worked our way through towards the centre of the castle, Anne decided she would like to visit St. Georges Chapel first of all. It was a good choice as in the afternoon, it is often thronging with sight-seers. At 11am it is merely rather busy. Photos aren’t allowed inside this still very functioning church and words alone can’t quite detail the ancient and meticulous craftsmanship of the windows, stone columns and vaults. 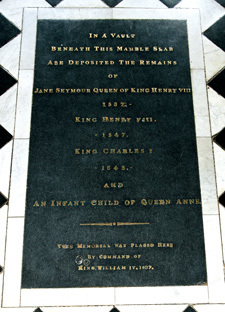 There are memorials to many of the great and the good as well as the resting place of many Royals from past to present. Despite being ravaged during The Civil War it is one of the most amazing churches inside, replete with historic standards and flags hanging from the arches. Going to all these sorts of places I have been to countless tombs and I always think this is second most incredible historic person I have been next too. The first is Ramses The Great whose body in The Egyptian Museum is uniquely not just a great figure from ancient history but also the only remains of the only man to stand up to God and speak with Moses in The Bible. Who is number two then you might ask? King Henry VII is the person in question. 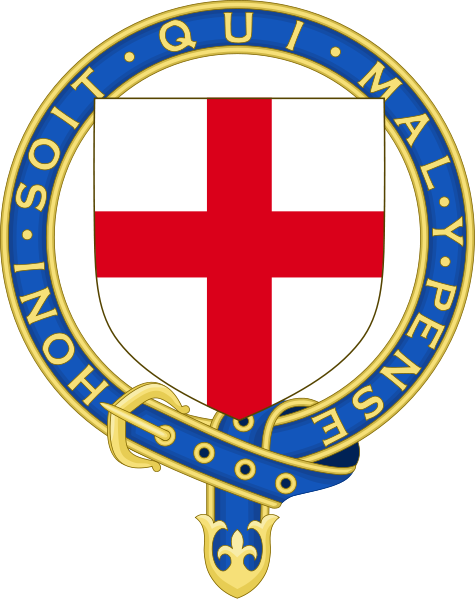 Surely the most famous and also infamous King of England ever; not only did he go through more wives than any Hollywood actor, he was father to one of the greatest Queens and also changed the face of the world with his split from the Catholic church. Following our visit to the castle we walked along the the walls which gave excellent views of Windsor, the parks, the Thames and Eton beyond and entered the castle proper. First up is Queen Mary’s Doll House. The photo below only shows one side of this incredible house. 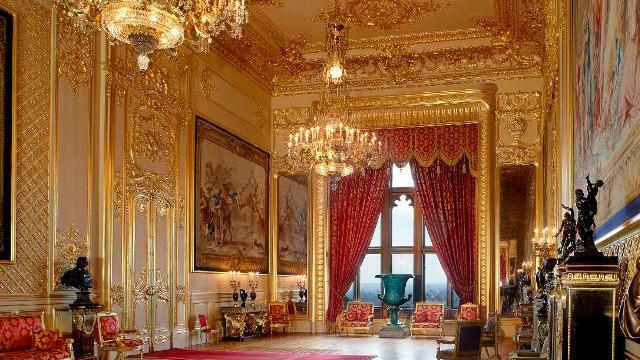 If you think this 6 foot tall dolls house is over the top, it had to be as this is the sort of extravagance the princess would enjoy at home. Next up we travelled through rooms full of beautiful China, one of the guards informed us how the smallest plate had been valued at £20,000 pounds. This large room was covered in sauces, plates, cups, and bowls and their price alone must have gone well into the millions. Going up the stairs past knights armour, dozens of daggers, swords, pikes, muskets and rifles as well as gifts and booty from around the world as well as a magnificent statue of Queen Victoria in white marble. 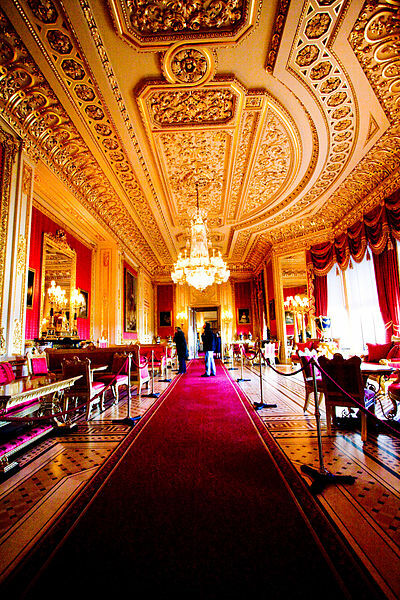 One of my favourite rooms is The Waterloo Chamber as shown above, despite it being everything you might imagine a magnificent room in a castle to be, it is still unbelievable. 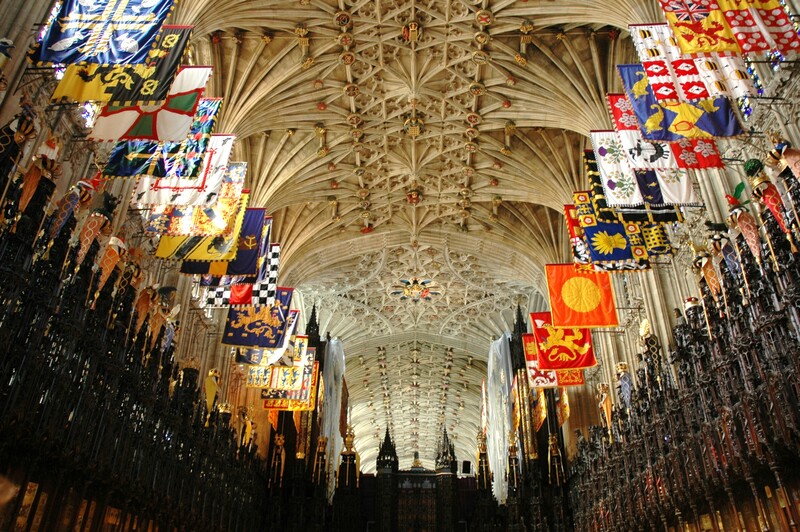 If you have a look at ceiling, you can just make out some of the heraldic shields. 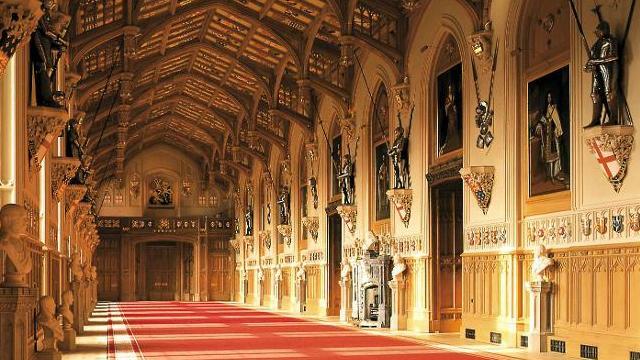 Windsor is the home of the Order of The Garter which is the highest honour of chivalry and said to be inspired by the tales of King Arthur and his knights. Only the reigning monarch can lead the investiture of someone into the Order and their numbers are always tightly controlled. 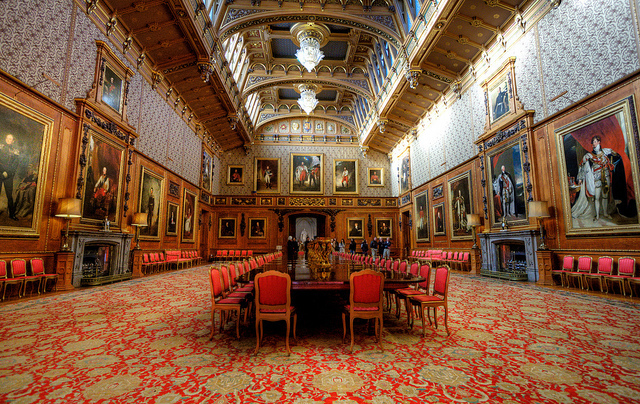 The State Rooms and Semi-State Rooms of the castle are all fabulously decorated with countless original works of art by painters such as Rubens and Van Dyke. 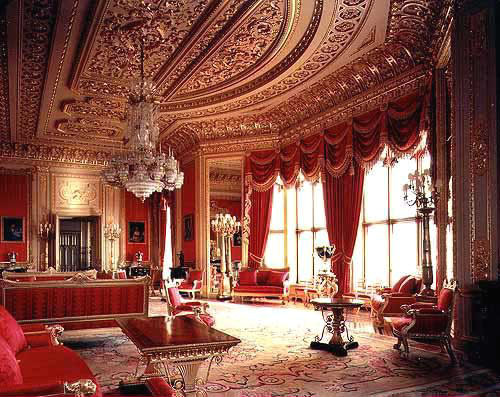 Priceless furniture is everywhere to be seen along with the most fantastic crystal chandeliers and gold is everywhere. The large green vase at the end is taller than a person! A large part of the castle was ravaged by a serious fire 20 years ago but by chance, many priceless treasures were out of the building for restoration and most were saved before the fire took hold but some areas were devastated and latterly rebuilt in such a way that no-one would know it ever happened. After all that gawping at such rich opulence, it was nice to get outside again and see some more of the vast courtyards and wards of the castle before going outside. Our legs tired and our tummies rumbling we sound found ourselves an old pub wherein all three of us tucked into some good pub grub and took some time to chat about what we had just seen. 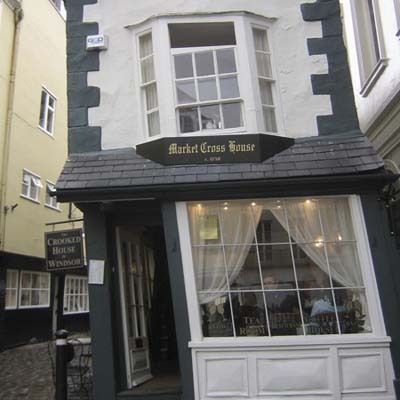 Before returning to London we walked around the old town of Windsor for an hour, exploring some of the streets including Britains shortest street which houses The Crooked House. This house may be old but it’s curvature is not due to age. A much older building used to be sat here but centuries ago a Guildhall was built next door and after a land dispute it was decided the municipality had to resize the hall and re-instate this old building. Obviously in a hurry they used untreated wood which soon bowed and this is the result. Finally we reached The Long Walk in one of Windsors many parks. Our drive back to London was quick and mostly traffic free. Mark and Anne had both had a thrilling day and I was apparently a terrific guide! We’ve agreed to go out again next week to maybe Portsmouth or Stratford Upon Avon before they return home to Australia. They were the perfect guests to take on my first official tour and really wonderful and kind people. I’m glad that I helped them have an unforgettable day and delighted that they will always be my first official tour guests. It’s so good to pass on some of the things I know and take people to see beautiful places that they might not otherwise get to see and certainly not in such a private and friendly way. 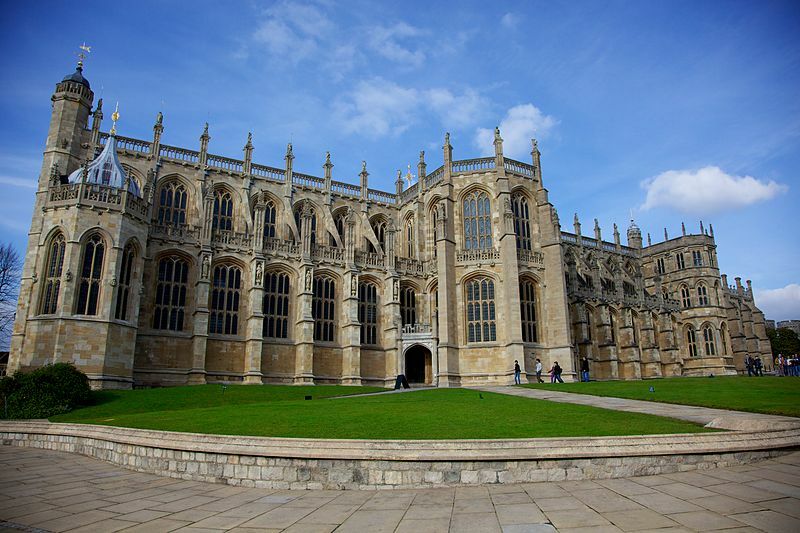 This entry was posted in Architecture, Travel, Ye Olde England Tours and tagged Culture, history, Life, Private Tours, Royal Family, St George's Chapel, Tours, Windsor Castle, Windsor Fire, Ye Olde England Tours. Bookmark the permalink. Thank-you, yes if I could do one or two of these a week then I would be very happy 🙂 It was nice to do something I like and get paid for it. Wow! This tour looked like a lot of fun. Congratulations, and I hope it kicks off many more tours! Thank-you. I just heard back and got an excellent review from them so I am really pleased. I hope so too! 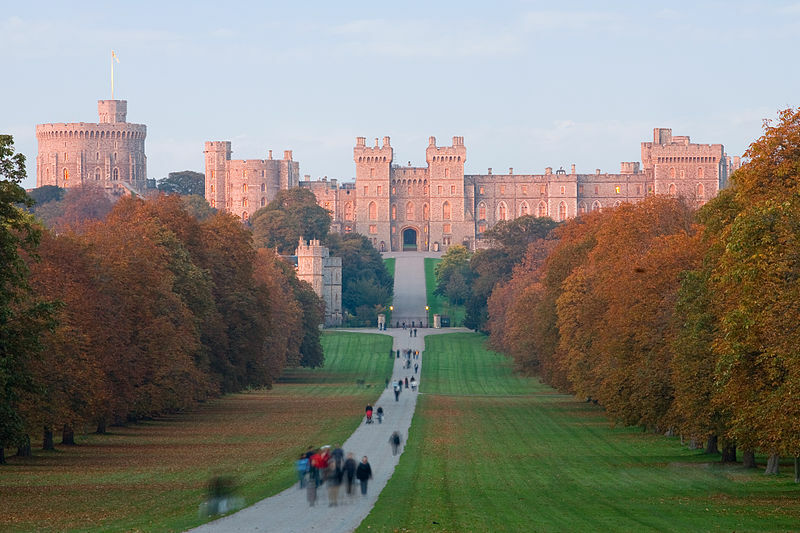 I am sure that you would enjoy both the castle and Windsor. Almost worth coming back for just on its own. Congratulations! It is wonderful to know that you have been able to get this business going. From the reviews and accounts I have read on your blog, I am certain people you guide are in for a great time. Thanks Ankur. It is always good when an idea works in practice. That’s very kind of you to say. Should you ever visit England, do let me know! Yay! How wonderful! I hope that your business keeps growing and growing! I love all of your history posts and I am sure the couple had a lovely time. I cannot wait to read about what happens next week! 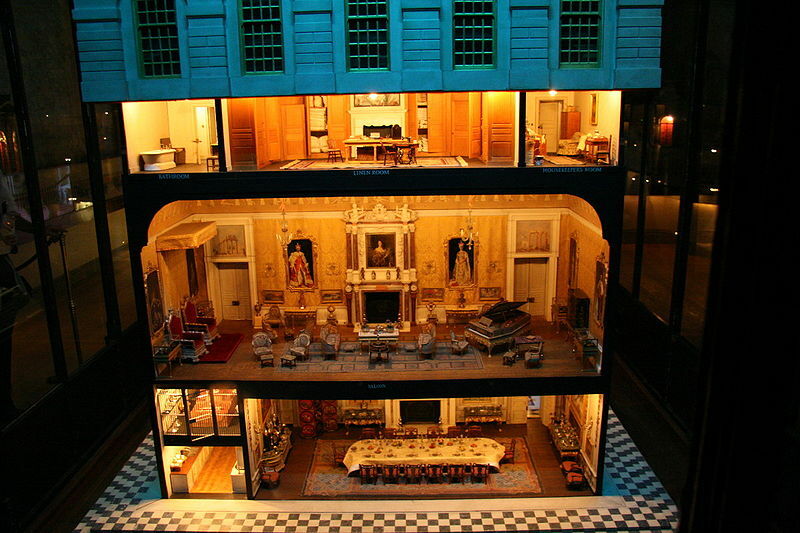 And on another note, I want that dollhouse. If you took me on that tour, I would have spent the entire time staring at it. I love it! Thank-you! I just put up a new post about our trip yesterday which also went really well. That dollhouse is amazing. About 6 foot tall or even more and about 30 rooms. There are even miniature paintings of kings and queens and tiny statues on the stairs. I think quite a few people go to the castle just for the dollhouse! Very well written. Felt like a roving tour. Keep it up. Thanks Sandeep, I’m glad you enjoyed it. So impressive.Stephen. Beautiful! I think that’s perfect that you want to have your company providing tours and such. You have such passion around it. I just bet it will be a big success and can also provide a way to promote your books. Best of luck to you. Thank-you! I do hope so, what a perfect career. Touring in the summer and writing in the winter! If ever you are in the country, let me know for a free tour! If I’m ever in your country, most definitely. Thank you! Love this post! Been there many years ago.